Does Magnesium Help Pulled Muscles? Magnesium (Mg) is well recorded as a healing mineral, responsible for nerve signalling in the muscles and in the brain. Not only that, but Mg also helps nutrient delivery throughout our cells. Furthermore, magnesium has been shown to reduce muscle cramping, while supplying relaxing benefits throughout the entire body. You could argue that using magnesium may even prevent pulled muscles. As it’s the ‘main’ mineral responsible for relaxing the muscular system. Thus, easing tension, which may otherwise lead to tightness and pulled muscles during, or even post exercise. However, the big question is still looming in the air; Does magnesium help pulled muscles? That’s exactly what I’ll be discussing in this article. How Does Magnesium Help Pulled Muscles Exactly? How Much Magnesium To Use For Pulled Muscles? To first understand if magnesium can help your pulled muscles, let’s uncover some of the mechanisms behind Mg. That way, we’ll be able to determine how this vital mineral can improve healing – in our case, pulled muscles. This means, that Mg helps to promote protein synthesis for the creation of DNA, muscles building, and yes you guessed it, the repair of pulled or torn muscles. To top it all off, magnesium will also balance your blood sugar levels, while improving blood pressure. Which makes magnesium important for athletes, and potentially diabetics. 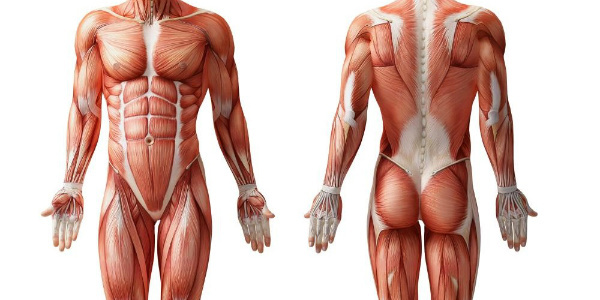 Let’s dive into the next section if the article, where I’ll highlight the main benefits that Mg plays in repairing pulled muscles. Where I’ll look a little closer into how magnesium can actually heal our muscles. But first, let’s clarify the differences in muscle damage. Pulled muscles are different from torn muscle fibres. Torn muscle fibres are caused as a result of resistance training. Whether that’s bodyweight, machine weight, or even sprinting can be classed as some form of resistance training. However, pulled muscles, on the other hand, is a different story. A pulled muscle can be a result of tight muscles experiencing stress beyond their capabilities or an aggressive overload. Where the muscle has pushed past its limit to support a given weight. When this happens, the muscle will not only contain microscopic muscle fibre tears (normal for muscle growth). But, it will now be in a more serious position of potential ligament tears or actual muscle tears beyond the acceptable limits of regular exercise. Therefore, any area of the body which needs repair, from pulled muscle fibres or ligaments, magnesium will assist in the transportation of enzymes responsible for healing the body. So, when we consider how magnesium works to supply nutrients and amino acids throughout the body to heal cells… along with muscle fibres and tendons. We can now begin to see that Mg is more important than just a muscle relaxant. As mentioned in my main article on Magnesium, the reddcomneded daily allowance for Mg is roughly 400mg per day for men, and 350 mg for women. Another thing to keep in mind is that Mg is easily lost through perspiration. Therefore, adding Mg back into the body after exercise is a key step in helping the body to recover post-exercise. So, does magnesium help pulled muscles? Directly, perhaps not, but magnesium ‘is’ an important mineral that’s responsible for overall health, longevity, along with muscular and tendon repair. To quickly recap: Magnesium stimulates diverse biochemical reactions, such as muscle protein synthesis – which helps to restore the body, in this case, pulled muscles. This makes magnesium not only important for muscular damage repair, but also for numerous bodily functions which can help to produce energy, balance our blood pressure, and regulate our mood. To learn more, you can read my in-depth article on magnesium here. Otherwise, if you want to know more about how magnesium might help your pulled muscles, please leave me a comment below, or feel free to contact me directly.